For some, the garage is nothing but a place for parking cars. For others, it’s home to a small woodworking shop or art studio. Whatever camp you fall into, odds are good that you prefer your garage stay warm during the winter. There’s nothing worse than getting into a car with an ice cold steering wheel and freezing seats. Even if your garage is older and a little worse for wear, there are steps that help you stave off the bitter winter cold. For example, you can install a garage heater. It’s a good step that we’ll cover in more detail, but it’s not the end of the story. Let’s jump in and look at what other steps you can take in your quest to keep that garage more livable in the winter. Assuming your garage isn’t connected to your home’s heating system, installing a garage heater is one of the major steps. 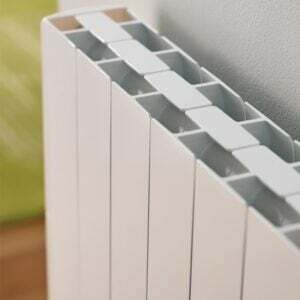 Two common choices are electric radiators and gas-fired heaters. 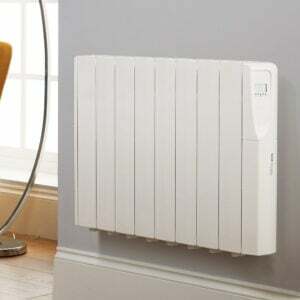 It is important to choose a big enough garage heater for the amount of space you must heat. This is typically done by calculating the length times the width of the garage. So, if your garage is 6 meters by 7 meters, you end up with 42 square meters. 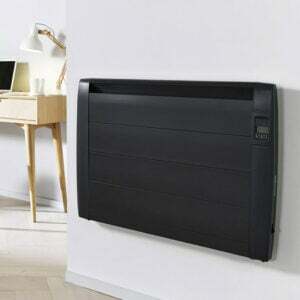 Let’s say you need 60 watts per square meter for heating. 60 watts x 42 = 2520 watts. You’ll need a garage heater that produces around 2500 watts. Unlike your home, though, the goal of garage heating is usually to keep the temperature above freezing. That means you won’t put the same heating demands on the heater in the garage that you would in the house. The only time you’d need it at full capacity is when you’re working in the garage for several hours. 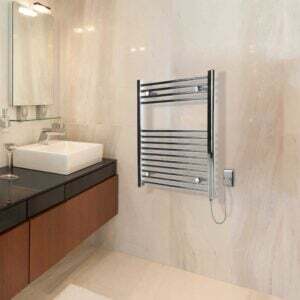 Many heaters come with built-in thermostats. If the model you choose lacks a thermostat, you can almost always connect them to an external thermostat. An uninsulated structure will always prove cold in the winter. Any warmth your garage heater adds will bleed straight through the walls and ceiling. That means your next step is adding insulation to your garage. If your goal is a garage that stays as warm as your home, you must insulate it as well as a home. Thinner insulation will do if you just want the temperature to stay above freezing. The most common type of insulation is glass wool blanket insulation. It comes in rolls and you can install it yourself. Just make sure you wear a long sleeve shirt, gloves, and a dust mask. The glass wool can cause irritation if it touches your skin. Other kinds of insulation you might use include rock mineral wool, which is fire resistant, and sheet loft insulation. Look for the R-value of the insulation. The higher R-value, the better the insulation works. You might also see U-values. The U-value measures insulation quality in watts. The lower the U-value, the better a material insulates. Older, single pane windows are a major source of heat loss in any building. Upgrading your garage windows to double pane windows will significantly reduce heat loss. Also, take a close look at the windows in your garage door. If the garage door is older, you might find single pane glass in it. The good news is that you can find double pane replacements for those as well. You can still do some basic upgrades to your garage windows, even if replacements aren’t in the budget. Weather stripping wears out over time, which lets cold, outside air slip into your garage. You can replace that weather stripping and reduce drafts. Cracks and gaps are also common sources of heat loss in a garage. Let’s say you replaced the weather stripping in your windows and doors but still feel a draft. The air is probably seeping in around a door frame or window frame. If you slowly move your hand along the frames, you can often find the source of the draft. A basic silicone sealer works for narrow gaps and cracks. You just run a bead of silicone along the edge of the frame where you found the draft. Then you smooth the bead with gentle pressure. If you want to minimize the mess, invest in some masking tape or painter’s tape. Apply the tape to the frame and the wall, leaving a narrow exposed area where you felt the draft. After applying and smoothing the silicone, peel the tape away from the frame and wall. This helps remove any excess silicone and leaves much cleaner edges. For larger gaps, consider using expanding foam as a filler. It should seal up the gap and most are waterproof. That waterproof feature makes expanding foam ideal for filling any small holes you might find in your garage. Is your garage door a little off track? Did a stray rock punch a hole through a garage window? A garage door that doesn’t close properly almost always leads to heat loss around the edges. You can also consider adding a weather seal to the bottom of your garage door for extra protection against heat loss. Damaged windows or deteriorating window frames compromise the integrity of the entire space. They not only let cold air in, they can also become access points for small animals or insects. Get those fixed up. 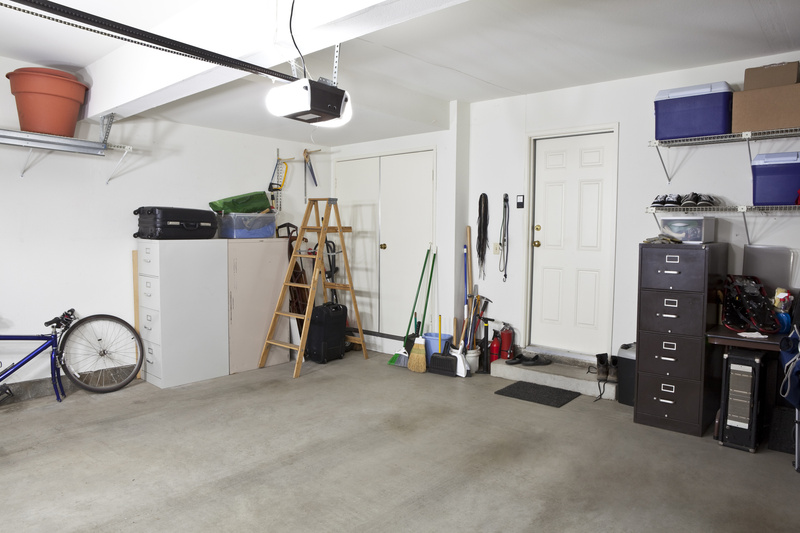 Keeping your garage warm in the winter isn’t hard when you take the right steps. Do the math and get a garage heater that’s big enough to heat the space. Add insulation to the walls and ceilings. For bonus heat conservation, insulate the garage door. Upgrade single pane windows to double pane windows. If that’s not an option, replace the weather stripping and seal up any gaps or cracks you find. Finish up any lingering repairs to doors, windows, and frames. It strengths the environmental envelope. 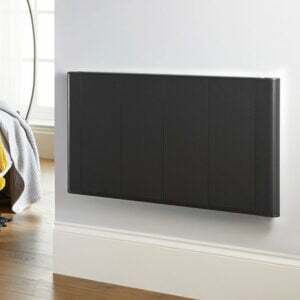 Best Electric Radiators specializes in residential heating options. For questions about us or our products, contact us today.